Most of us have a story of a teacher who made a difference in our lives-- one without whom we would not become the person we are today. 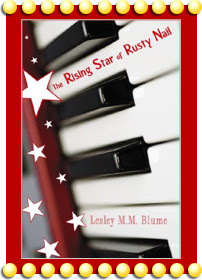 In The Rising Star of Rusty Nail, Lesley M.M. Blume tells the story of 10-year-old Franny Hansen, piano prodigy, who has outgrown the available piano teacher in her small 1953 Minnesota town of Rusty Nail. Franny and her best friend Sandy Anne Hellickson are as concerned with hijinks and mayhem as Franny is with her piano practice. Franny's father, a former big band wannabe, is her strongest advocate and understands Franny's potential. On one level the story plays out as a standard coming-of-age story of a little girl in the back-of-beyond who finally gets her big chance. Through this process, she learns up close and personally the bigotry and small mindedness that is endemic to small towns. Continually outflanked by a lesser pianist, Nancy Orilee, whose father's money buys her anything she wants including a win at a state piano competition, Franny learns hard lessons about what is required of someone who has a gift but must fight for her dream. 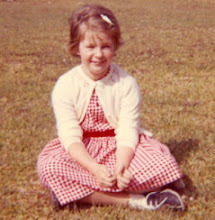 She also learns that suspicion and prejudice are not limited to small towns but are found in small minds everywhere. Madame Olga Malenkov, a mysterious Russian musician, moves into the home of the local lawyer and the townfolk jump to the conclusion that Madame is his new wife. This is a convenient cover story for the couple as we see later in the story. Without giving away too much of the plot, suffice it to say that adults will recognize the clues to Madame's true identity long before children reading this book will. The book is structured to represent the three movements of a concerto: Moderato, Adagio, and Allegro. This is explained in an introduction by the author and the action of the story mirrors the intensity of the concerto's movements. It is well written and the author does a good job of moving the story forward while revealing the strengths and foibles of the town's inhabitants. The conclusion is quite satisfying as justice and understanding prevail. Alfred A. Knopf, 978-0-375-83524-7.